Come back with me to 1973 when Middle East tensions were overflowing and U.S. gas lines ever growing, and most high profile Christian leaders like Pat Robertson, Jerry Falwell, and Hal Lindsey, assured us that we were experiencing the last days “birth pangs” which was ushering in the end of our planet. God help the pregnant mother or Sabbath traveler, for these days of God’s imminent wrathful outpouring would plunge the entire world into total chaos. Armageddon, the Beast and the whole shebang of Revelation were being fulfilled before our very eyes. With Lindsey’s Late Great Planet Earth fresh in mind, the prophetic events were lined up in harmonic convergence as the antichrist was about to be revealed and all Heaven would soon break loose. In my daily commute down Fletcher Avenue toward USF, I’d often gaze heavenward wondering if this would be THE day… the most highly anticipated DAY since Jesus’s incarnation. Enduring life’s travails not much longer, in a very little while Jesus would descend on the clouds as He’d meet us in the air. How exciting living at a time when Jesus’ long-anticipated return would finally arrive! Two thousand years of pent-up expectations would be fulfilled at last. Pat Terry, an early 1970’s Christian musician, put it this way in “I Can’t Wait to See Jesus” (listen below). and see the glimmer in his eye. and feel my feet leave the ground. and get my sleeping bag unrolled. And just as exhilarating was the chorus which still gives me goosebumps! Oh, Jesus is coming again. 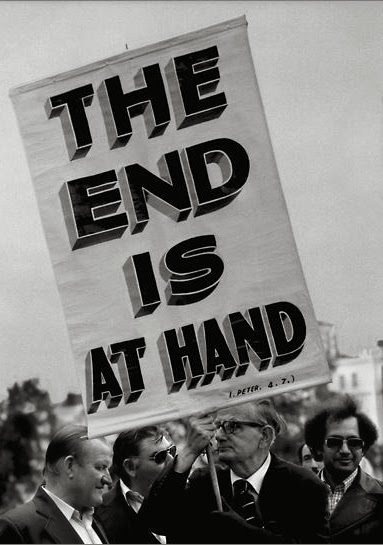 In the early to mid AD 60s (not the 1960s), a little more than three decades post cross, the Apostles Peter, John and Paul (whom I think authored Hebrews) made three very poignant eschatological statements (pertaining to end times/last days): “The end of all things is near” (1 Peter 4:7); “In a very little while He who is coming will come and will not delay” (Heb 10:37); and “Children it is the last hour” (1 John 2:18). So it’s clear that Jesus must be returning soon, right? After all, the end is at hand, isn’t it? Well, not so fast. This photo was taken only 40 years ago, almost 2,000 years after Peter wrote that verse! And this strikes right at the heart of the eschatological chaos. The timing of Jesus’ return has wreaked havoc on the Church’s credibility for far too long. Why can’t we get it right? There’s an elephant in the room of our interpretative methods that I ignored back then, and most Christians still ignore today. It’s called “reader relevance” (primacy of the original audience), and though we occasionally give lip service to it, for the most part, we gloss right over it as though it doesn’t exist. When reading Philippians, Hebrews or Jude, we often forget that we’re reading someone else’s mail. Passing over the realization that these letters were written, delivered by courier and read by Christians nearly 2,000 years ago, appears to be at the root of our eschatological confusion. The fact that the New Testament didn’t arrive on our doorstep with the morning’s paper, may seem patently obvious, but it’s at the epicenter of the most common interpretative mistakes. This 27 book NT (New Testament) compilation, was not only time sensitive and fully relevant to first-century believers, but if not read in context, cannot be properly understood today. The Bible was penned and preserved for our edification (2 Tim 3:16), but it was NOT written directly TO US. Again, this may seem apparent, but in our constant attempt to make Scriptural application, we often fail to consider the New Testament’s first-century context. And nowhere is this issue more problematic than in our eschatological presuppositions. Considering the sign held by this many above, how could something have been at hand in AD 64 and also at hand in AD 1974? How could “the end of all things” be near then and still be near today? How could it have been the last hour during the reign of Nero and be our last hour during the presidency of Barack Obama? Unless we have two time continuums, it can’t! But most of us never consider this huge circus animal with the long trunk, plunked right in the middle of our interpretational reading room. Have you ever wondered why we attempt to invent so many ways to camouflage the elephant and act as though it doesn’t exist? I’d be a rich man if I had a dollar for every time I’ve heard an excuse explaining why the NT eschatological time indicators (near, shortly, quickly, at hand etc.) had no relevance at the time they were written. The most brilliant disappearing act (which only seems to fool Christians since atheists use it rather effectively as a blunt force tool to bludgeon the unwitting) is constructed using one lone verse from Peter’s second Epistle, which should be noted, was written a year AFTER Peter wrote, “The end of all things is near.” For decades, that fact alone had me scratching my ever-balding head. 2 Peter 3:8 (NASB) But do not let this one fact escape your notice, beloved, that with the Lord one day is like a thousand years, and a thousand years like one day. For generations, this one tiny verse has been successfully employed to cloak the elephant… arguing that the plethora of “time statements” (associated with Bible prophecy) scattered throughout the NT, aren’t to be taken seriously or literally. After all, they argue, with God time is irrelevant. But if this is truly the case, one wonders why the inspired NT authors would have used any near-term time sensitive words. Why wouldn’t Peter have simply written, “The end of all things will one day be at hand”? Why risk the potential confusion caused by the possibility that the persecuted recipients might not realize that near could have meant thousands of years? I heard one pastor reason, regarding the passage, “Be patient for the coming of the Lord is at hand… the judge is standing at the door” (James 1:8-9), that James was merely using inspirational language to exhort believers of all generations i.e. that he was attempting to spur on each succeeding generation with the hope of keeping them/us ever vigilant. So whether in AD 314, 1514 or 2014, was James just challenging us to stay in a steady state of expectancy? Are you beginning to notice the giant pachyderm yet? Is his trunk beginning to knock things off your shelves as it did mine? Though I realize it wasn’t this dear pastor’s intent, he was effectively implying that God inspired Peter, Paul, John and in this case, James, to lie in order to motivate the beleaguered first century Christians to remain watchful. Is this truly the interpretational road we should be traveling? Is this profoundly dangerous logic beginning to concern you as it did me? Since we mustn’t subscribe to Biblical contradictions, I believe it is absolutely imperative that we treat this problem seriously. At first glance, It may appear that way, but that’s not in the least what I’m attempting to do. I am simply trying to interject some intellectual honesty into our Bible interpretation, which thereby may force you, as it did me, to reconsider your eschatological conclusions. I realize that this dominant end times doctrine has become so sacrosanct, that to even question any of its underlying tenets, rises to the charge of heresy. However, to ignore the serious problems with a view that has been responsible for error after error seems rather ostrich-like. Case in point. At a Bible study a number of years ago, after I offered an interpretation of Matthew 24 that was consistent with the imminent eschatological “time statements”, the leader simply said, “We can’t go there. We can’t go there.” Case closed. But the question that wasn’t answered then and is still outstanding today, is, where can’t we go? It wasn’t as if I was questioning the deity of Christ, the virgin birth, or any of the non-negotiable tenet of our faith. I simply offered an historically-based eschatological explanation that fit the Olivet Discourse (Matt 24; Luke 17; Mk 13) like a glove. And for that, with no further dialogue, I was simply asked, for the sake of unity, to censure myself. Is this a truly healthy way to deal with this eschatological differences? Clearly, we need to always be respectful and courteous toward one another, but to cut off dialogue at a Bible study, seems less than prudent. If we were as passionate about truth as we are for avoiding disagreement, we might not be in this mess. And few would argue with a straight face that the current eschatological landscape is not in need of a gross overhaul. 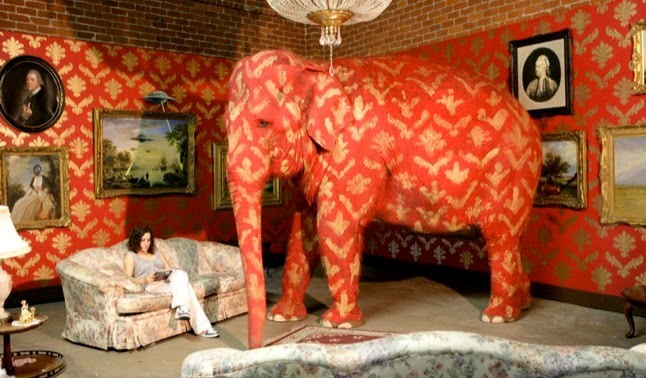 The elephant still hasn’t moved! So when Jesus said, “This generation will not pass away until all these things take place”, arguing that Jesus meant no such thing, is not any more Berean-like than censuring dialogue. Sadly, this mindset is far too typical of those within many of our churches. Being a respectful Berean is not well tolerated if one offers another point of view. And that’s why nothing ever changes. Many question the political structure of the Roman Catholic Church and its top-down hierarchical structure that squelches debate, but is the Protestant Church really that much different? At this point, I need to be crystal clear. Make no mistake, I believe the Bible is the inspired Word of God as explained in the Chicago Statement of Biblical Inerrancy. And only in that context must these things be challenged. God is neither the author of confusion nor deception and His Word is not enveloped in smoke and mirrors. And hopefully, once you reach this article’s conclusion, you will, at the very least, have a new appreciation for the uncanny accuracy of God’s prophetic Word. Above all, I want to exalt the miraculous nature of the Bible, not tear it down. So, with that as a backdrop, let’s trudge on. Before looking at five potential scenarios regarding the interpretation of these many eschatologically time sensitive phrases, let me pose a question for contemplation. If time was irrelevant in the manner in which God always communicates with man, why then did He ONLY inspire the NT authors to use words of imminence? In other words, why don’t we find even one phrase like that used by Daniel, “many days yet to come” (Daniel 8:26)? Why do the NT authors ONLY couch prophecy in imminent terms? In the OT, we find statements of both nearness and distance. Daniel’s “many days yet to come” is contrasted with Isaiah’s “the day of the Lord is near”. Time mattered to the OT prophets, so why do we presume that God stopped communicating clearly and in ways that we understand? Why, if all mysteries since the foundation of the world were revealed in the person of Christ (Eph 3:9; Col 1:26), would the NT time statements be clouded in seeming subterfuge? 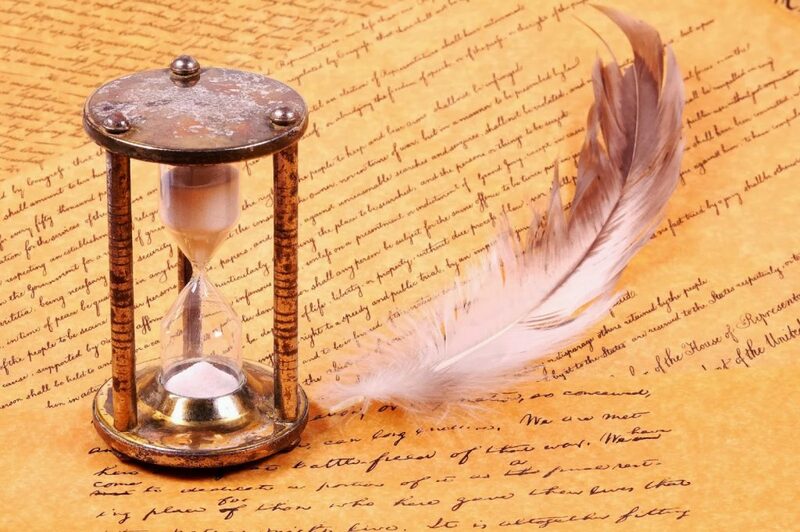 Now, consider this stark contrast between an Old and New Testament prophetic use of time. Revelation 22:10 (NKJV) And he said to me, “Do not seal the words of the prophecy of this book, for the time is at hand. Do you see the issue? Daniel was told to seal up the vision because it was “many days in the future” and John was told not to seal up the vision because “the time is near”. What’s going on here? If Daniel’s prophecy was hundreds of years from fulfillment, sealing the vision would seem natural since he/they wouldn’t have been able to understand the context of its fulfillment. However, since most today believe the Revelation’s fulfillment is still future (after nearly 2,000 years), why then was John told to keep it unsealed? And, further, how could the time of fulfillment have been near in the first century? Doesn’t this unnerve you even a little bit? At this point, most of us throw our hands in the air and assume that if the experts with years of education can’t come to a consensus, what hope do we have? But the truth is that paradigm, not intelligence, is the greatest obstacle to understanding Bible prophecy. Most of us have developed errant presuppositions that force us to challenge God’s ability to communicate accurately. So once we begin to consider the fact that God may have communicated clearly and unambiguously, we can start to deconstruct the false components of our interpretational paradigm. As I mentioned earlier, eight years ago I chose that path deciding that it was time to question this apparent contradiction that “at hand” or “in a very little while” actually meant thousands of years. Therefore, shouldn’t we wonder why, if time is supposedly irrelevant to God, He would inspire these men to associate their visions with time? And further, why would these various OT prophetic pronouncements have been fulfilled according to their time-sensitive dictates, if they weren’t anchored to chronological reality? Not surprisingly, the prophecies of Daniel and Isaiah were fulfilled like clockwork. Daniel’s “many days yet to come” was fulfilled hundreds of years in the future, and Isaiah’s “the day of the Lord is near” was fulfilled imminently as the Medes dispensed of the Babylonians in Isaiah’s day. Now that the elephant is in plain view, let’s deal head-on with the potential explanations for the NT eschatological imminence. Anyone reading through the NT even once has been bombarded with these near-term expectations. Although this list may not be exhaustive, it covers 5 major possibilities. Admittedly, explanation #3 seemed too outrageous to include, but because I just heard a pastor use it, I decided to give it a critical review. As you read through the five, choose which one best fits your explanation. Which one do you think is the most Biblical? As you consider these various explanations, you may immediately notice the following potential pitfalls found in these possibilities. God is not sovereign because His plans are contingent upon the actions of His free moral agents. Therefore, God is reactive not proactive. Because of Jesus’ human limitations, God was not able to communicate everything with Him clearly. Due to God’s timeless nature, He was unable to communicate accurate time-sensitive predictions with His followers. God intentionally misled His beleaguered followers because He determined that it was more important to motivate them in their times of distress than to tell them the truth. Since Jesus’ return in the minds of most is marked by the obliteration of our planet at time’s end, how could Peter’s words “the end of all things is near” possibly be true? Most Christians opt for explanation #1 (God knew the day and the hour was thousands of years future but chose to convey imminence) without fully considering the serious implications, some of which we’ve already presented. Sugarcoat it all we want, the truth is that if God knew Jesus’ return wasn’t going to be imminent, but He nonetheless inspired every New Testament author to write that it was imminent, this is simply a lie. Yes, I realize that probably makes you as uncomfortable as it did me, but this reality must be confronted if we have any prayer of being intellectually honest as we rightly attempt to divide God’s Word. God is not the author of lies or misdirection. If even one of an eschatological system’s interpretational building block presumes God to be a liar, the implications will be staggering. Hebrews 6:18 (NASB) so that by two unchangeable things in which it is impossible for God to lie, we who have taken refuge would have strong encouragement to take hold of the hope set before us. Numbers 23:19 (NASB) “God is not a man, that He should lie, Nor a son of man, that He should repent; Has He said, and will He not do it? Or has He spoken, and will He not make it good? The atheist who put the below video together, attacks Christians and Christianity at this very point. The vast majority of believers have heard the time is irrelevant to God excuse for so long, they are oblivious to its absurdity. But we must, no matter how emotionally taxing, be prepared to answer the atheist… as well as the confused Christians for that matter. So we can continue to use 2 Peter 3:8 to cloak the elephant, but the fact remains that the integrity of the Bible is hanging in the balance and the elephant isn’t going anywhere. Heavily persecuted 1st century Christ-followers were clinging to the imminent hope of deliverance, and if we assume they were lied to by creating false expectations, we’re playing right into the hands of the atheists. And lest we forget, when stalwarts of the Gospel like the Apostle Paul wrote things like the following, they were received by real people who were eagerly waiting for the revelation of Jesus: “The time is short…for the form of this world is passing away” (1 Cor 7:29-31), “Now these things …were written for our instruction, upon whom the ends of the ages have come” (1 Cor 10:11), and “The Lord is near” (Phil 4:5). Consider this analogy to help drive the point home. 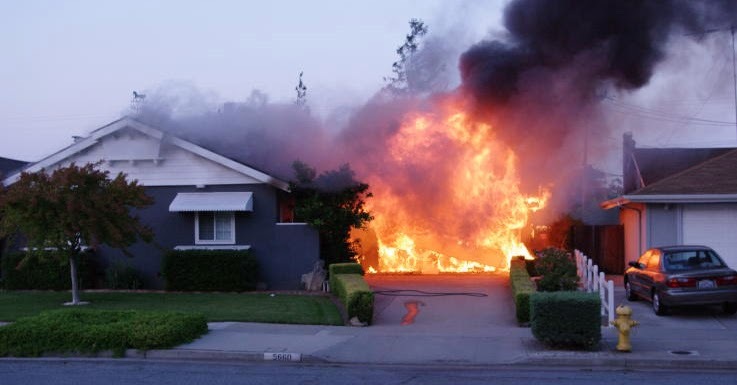 Your garage just caught fire and after calling 911, the dispatcher tells you that the fire trucks are on the way and will be there shortly. Would you sing the fire department’s praises if they never arrived and your house burned to the ground? Would it make your misery any less profound to find out that they those trucks were not only never dispatched, but there was never any intent to send them? How is this scenario any different from explanation #1? How utterly cruel would it have been for God to have promised near-term rescue and vindication if He never had the slightest intention of fulfilling His promises. Approx. two decades ago as this kind of eschatological confusion began weighing heavily upon my faith, I subtly started to distrust the Bible. At the onset it wasn’t all that overt, but it, in consort with some other nagging issues, became profoundly debilitating. If this was in fact the way God treated His first century followers who lives were in constant peril, then I wondered about His faithfulness to me. In other words, if the ones who received the short-term promises were intentionally jilted, why should I have any confidence that God would be faithful to me and my family in the light of never receiving such promises? I’m happy to report that I finally worked through this intense struggle, but not before undergoing a significant eschatological paradigm change that began at this very point. Since we know that “hope deferred makes the heart sick”, how sick and weary is the body of Christ after 2,000 years of this kind of unfulfilled expectation…if in fact we presume that Jesus’ second coming was as it has been characterized, speaking of the world’s end (and not the end of the age)? 1 Peter 4:17 (NKJV) For the time has come for judgment to begin at the house of God; and if it begins with us first, what will be the end of those who do not obey the gospel of God? 2 Peter 3:11-12 (NKJV) Therefore, since all these things will be dissolved, what manner of persons ought you to be in holy conduct and godliness, 12 looking for and hastening the coming of the day of God, because of which the heavens will be dissolved, being on fire, and the elements will melt with fervent heat? As we read through all these statements implying imminent expectation which should have been weighing heavily upon their conduct, does it make any sense that Peter was attempting to use the “time is irrelevant” argument against the scoffers? Was he really waving a magic wand at all of the eschatological time references throughout the NT (many written by him), attempting to make them disappear? If this was the intent of 2 Peter 3:8, then the following is an addendum that could have been attached to Peter’s 2nd epistle. “I know Jesus told us that He would come before we finished going through the cities of Israel (Matt 10:23), while some of us were still alive (Matt 16:28) and all within a generation (Matt 24:34), but we all know that time is relative in God’s economy. At the time I wrote that first letter warning you of our near-term end, I actually believed that the end was very near. But then the Holy Spirit brought Psalm 90:4 to mind, telling me that “near” to God could be very far off to us. “Now, I realize how incredibly confusing this may be and that it may appear like an excuse… so, since many may have been misled by my first epistle which was riddled with imminent expectations, I simply have to set the record straight and get the word out to all those who are actually anticipating Jesus’ soon return. I must correct the errant presumptions that I and others have created. Many of you persecuted believers who received letters from James, John and Paul, are losing your lives and even worse and I don’t want to give you false hope. And to be quite frank, no help is coming. Yes, in some other distant generation many days from now, but no rescue is planned in your lifetime. “I realize that the Apostle Paul promised our embattled Thessalonian brothers vindication, but I now realize that He was referring only to their metaphorical absolution at the end of time. Even though he said he would give relief to YOU, he wasn’t really speaking directly to the Thessalonians, but actually only to those living in a time many days to come. 2 Thessalonians 1:6-8 (NASB) 6 For after all it is only just for God to repay with affliction those who afflict you, 7 and to give relief to you who are afflicted and to us as well when the Lord Jesus will be revealed from heaven with His mighty angels in flaming fire, 8 dealing out retribution to those who do not know God and to those who do not obey the gospel of our Lord Jesus. “Further, it must be that when Jesus spoke of the eschatological end within “this generation” while some of his larger contingency was still alive, He must have been communicating allegorically. He had to have meant “that generation” or “some distant generation” even though for emphasis sake He prefaced “this generation” with “Truly I say to you.” I realize that Jesus never used time metaphorically and that the Bible has never allegorilized time (and God expressly prohibited it in Ezek 12:21-28), but since Jesus is God, and God is not bound by time, that’s really what He must have meant. After all, He made those definitive statements while still restricted by His humanity. “So, the scoffers have every right to scoff because they are correct. It’s been 34 years since Jesus said,“this generation will not pass away until ALL of these things are fulfilled,” and the truth is that His return is nowhere in sight. Jesus won’t be coming in the time all of us expected. “Therefore, in the future, though we must admit that their scoffing is justifiable, as long as we don’t take any of the time constraints literally, we will negate their vain attempts to discredit Jesus’ words. So whether God says something is going to happen either near or far, well, we just can’t hold God to this kind of human standard. Do you see how ludicrous this excuse is when it is broken down and exposed? Does God really need us apologizing for Him? In an attempt to do the opposite, those who interpret 2 Peter 3:8 in this manner, do nothing but assault the integrity of God’s Word and accentuate His unfaithfulness. It strikes at the heart of inspiration. I truly can’t think of a more abused and heavily manipulated verse than 2 Peter 3:8. So, since I hope it is clear to you that option #1 is simply not viable, let’s move on to the other possibilities. Explanation #2 (God the Father didn’t know when Jesus would return) proves that God is not ultimately sovereign. If God is subject to the whims of His creation, and has no idea what they will do, He clearly is not sovereign. Some dispensationalists have argued that the prophetic time clock stopped when the Jews rejected Christ, only to be restarted when Israel became a nation in ‘48. This excuse is so riddled with problems that I don’t have time to deal with them here. Suffice it to say, I hope we all reject any option that denies God’s sovereignty. He never resorts to a plan B. What I find truly baffling is that those who hold this view apparently haven’t stopped to realize that if we, as free moral agents, could stop the prophetic clock once, we can do it again and again. Once man is elevated to this kind of supremacy, God is relegated to position of inferiority. So how could any prophet declare a prophetic event if it can always be short-circuited by non-compliant men? What would have happened if the Medes had chosen not to comply with God’s sovereign plan and therefore never attacked the Babylonians? Wouldn’t that have made Isaiah a false prophet? I realize how ludicrous this possibility is, but felt it was necessary to include it since people actually believe it. Explanation #3 God the Father knew the exact day and hour of Jesus’ return, and only communicated how fast it would be, with no regard to the timing. This one appears even more outrageous than the God can’t tell time option. Recently I heard a pastor who began a new series on the book of Revelation, espouse this very point. How did he arrive at this conclusion you ask? He began with Revelation 1:1 and instead of translating “tachos” as “soon”, he said it meant “fast”. So, according to this view, the timing of the Revelation was never in plain view. So, God was telling John that, once these things began to take place, Jesus would return with lightning quick speed. Tachos (where we get tachometer) can, in fact, mean the speed in which something is executed, but, based upon the context of all its usages, this is not primarily how the word is used throughout the New Testament. Also, it must be noted that all words must always be interpreted in context. All one has to do is drop down two verses to realize that this has nothing whatsoever to do with the speed of execution and everything to do with the timing of the events. I’ll come back to that thought in a moment. Consider the parable of the widow and her persistence in obtaining legal protection from the ruthless judge. Though this parable clearly concerns prayer, many have missed its eschatologically-based subject matter. This “end times” parable, referenced “the elect” who would cry to the Lord for justice against their oppressors. Pay particular attention to the timing of the promised vindication as well as the usage of tachos. The following passage is a recapitulation of the above parable, but at that moment in the vision it was only a short time from fulfillment. The saints had already been martyred. Revelation 6:9-11 (NASB) When the Lamb broke the fifth seal, I saw underneath the altar the souls of those who had been slain because of the word of God, and because of the testimony which they had maintained; 10 and they cried out with a loud voice, saying, “How long, O Lord, holy and true, will You refrain from judging and avenging our blood on those who dwell on the earth?” 11 And there was given to each of them a white robe; and they were told that they should rest for a little while longer, until the number of their fellow servants and their brethren who were to be killed even as they had been, would be completed also. During the Olivet, the plight of these souls who had suffered severe persecution to the point of death had already been predicted. Matthew 24:9 (NASB) “Then they will deliver YOU to tribulation, and will kill YOU, and YOU will be hated by all nations because of My name. So, again, the outstanding question is, “How long, Jesus? The dead saints were under the altar asking how long before their blood would be avenged. And what was Jesus’ answer? “When I come it’s going to be really fast!” No, that’s not at all what was promised. Jesus said only “a little while longer”! And this has nothing whatsoever to do with the speed of Jesus’ return and everything to do with the time before the martyrs would be avenged. “A little while longer” cannot possibly be misconstrued with the speed of the avenging. The “How long?” answer has staggering implications which are totally ignored in the various versions of Leftbehindology. In Circa AD 62 (the approx. date of the Revelation), Jesus told them how long until their avenging (shortly), yet instead of believing Him, some attempt to change the plain meaning of words simply to conform the Bible to their paradigm. Nobody was asking how fast they would be avenged. Waiting a little while is not a function of speed but of time. I don’t mean to be condescending or mean-spirited, but how can anyone read Revelation 1:1 and believe that Jesus is ignoring the “How long?” question and answering “How fast?”. For the sake of redundancy lest we lose focus, let’s look at the text one more time. It must take place FAST? For those who adhere to this interpretation, let me ask you a question. Why would it have been important for Jesus to have said how fast He was going to avenge the martyred saints? Was Jesus correcting their understanding? Did they think He was going to return slowly? If there has already been a 2,000 year delay, what difference would it make how fast Jesus returns? So, even if one could finagle “tachos” to mean speed, how in the heavens can one cram the speed of His return into verse 3? Revelation 1:3 (NASB) Blessed is he who reads and those who hear the words of the prophecy, and heed the things which are written in it; for the time is near (eggus). There’s no possibility whatsoever that one can force eggus to fit into this speed motif. It simply means “the time is near”. So at this point, hopefully you will reject this 3rd excuse as well. So, on we trudge to explanation #4, forever attempting to find yet another way to disguise the elephant: God the Father knew the exact day and hour of Jesus’ return, but Jesus, in his humanity, was unaware of not only the day and hour but also the millennium in which He would return. Jesus’ “no man knows the day or the hour” statement, has been so thoroughly exaggerated and contorted that what people say it means bears no resemblance to reality. How can neither knowing the day nor the hour be used to argue that no one would have a clue within centuries or millennia of Jesus’ return? Matter of fact, during Jesus’ entire Olivet monologue, since Jesus specifically answered the disciple’s when question, why do we continue to insist that Jesus had no clue? In a recent blog post, “The End of the Beginning”, I thoroughly dealt with this issue and put to bed the notion that Jesus had no idea when He would return. Please take time to read it. I think we do the Bible injustice by propagating this myth. Why is it that so many appear to either miss or ignore Jesus’ very first sentence of explanation? It set the tone for everything that was to follow. What was it? Did Jesus immediately begin detailing the litany of events that would follow? No. He offered a simple warning that, in and of itself, set the timing of fulfillment. “See to it that no one misleads YOU.” Wait a minute! Do you see the issue? How many times have you heard pastors and teachers say that the things contained in the Olivet Discourse and the book of Revelation are still future to us? If that’s the case, what difference would it have made to them? If “all these things” pertained to a distant generation removed from the immediate context by 2,000 years, what relevance would any of it had on the disciples? As we hearken back to Daniel’s vision, there was never any concern that Daniel be misled. Why? Because the prophesied events would take place well after Daniel was pushing up daisies. So the mere fact that Jesus warns His followers about being misled, tells you when those things were expected to occur. The truth is that everything Jesus said was absolutely vital to the disciples because it applied directly to them and their generation. That’s why He cautioned them to be diligent so they wouldn’t be misled. Matthew 24:34 (NASB) “Truly I say to you, this generation will not pass away until all these things take place. I’d say that’s a rather emphatic time-sensitive answer, wouldn’t you? So, again, how is it so many pastors try to argue that not knowing the exact day and hour is equivalent to not having a remote idea within a few millennia? The answer is actually rather simple. They don’t like or understand the implications. So just like they attempt to explain away the meaning of “soon”, “shortly” and “at hand”, they play all kinds of extracurricular games with the above verse. C.S. Lewis called it the most embarrassing verse in the Bible. And for good reason, if none of the events outlined in the Olivet actually transpired within that first century generation. Just before Jesus finished detailing the events that would take place within that generation, He offered the following analogy of the fig tree (Luke adds “and all the trees”). Matthew 24:32-33 (NASB) “Now learn the parable from the fig tree: when its branch has already become tender and puts forth its leaves, you know that summer is near; 33 so, you too, when YOU see all these things, recognize that He is near, right at the door. James 5:8-9 (NASB) YOU too be patient; strengthen your hearts, for the coming of the Lord is near. 9 Do not complain, brethren, against one another, so that you yourselves may not be judged; behold, the Judge is standing right at the door. Jesus was not only not wrong, but when He was sitting at the right hand of the Father after His ascension. At that point He knew the day and the hour of His return and He revealed to John that the contents of His vision would soon take place because the time was near. So, don’t let C.S. Lewis, your pastor or anyone else convince you that Jesus didn’t have a clue when He would return. Well, that leaves us with explanation #5: God the Father knew the exact day and hour of Jesus’ return, and unambiguously and accurately communicated the imminence of Christ’s return through both Jesus and the NT authors. While on earth, Jesus didn’t know the day or hour of His coming, but He knew the generation. After His ascension He knew how short the time really was. I’ve not found too many who aren’t at first extremely uncomfortable with this possibility, especially since it shatters their paradigm and means that “all these things” had to have taken place within that generation. It strikes at the heart of so many issues that most simply refuse to seriously consider it. So they limp back to option #1 in full knowledge that, untenable as it is, many others believe it so it must somehow have merit. Let me offer one more word of caution from Ezekiel 12 lest you still cling to one of those first four explanations. Ezekiel 12:21-23 (NASB) 21 Then the word of the Lord came to me, saying, 22 “Son of man, what is this proverb you people have concerning the land of Israel, saying, ‘The days are long and every vision fails‘? 23 “Therefore say to them, ‘Thus says the Lord GOD, “I will make this proverb cease so that they will no longer use it as a proverb in Israel.” But tell them, “The days draw near as well as the fulfillment of every vision. God was sick and tired of Israel constantly distorting His time sensitive promises. He would tell them that something was about to happen and they would ignore Him and say, “the days are long and every vision fails”. They were incessantly thumbing their noses at God just like spoiled children saying that though God said things were near, they were actually very far off. Sound familiar? Isn’t this today’s approved interpretational method? For this reason, God, in diametric opposition, said, “The days draw near as well as the fulfillment of every vision.” They were trying to use the old “a day is as a thousand years” to God, slight of hand. And God became angry because they weren’t heeding his timely edicts. God said that whatever He spoke would take place in the time span predicted. “It will no longer be delayed”! This was decried by God almost 700 years before the birth of Christ. Yet, what do most Christians say today about the plethora of time sensitive prophesies in the NT, ALL of which are accompanied by these time sensitive words like “shortly”, “at hand”, “soon” and “in a very little while”? “Hath God really said?” Sounds kind of like the serpent, doesn’t it? God supposedly didn’t really mean shortly, soon or at hand when speaking of his coming, for He was speaking in His own eternal timelessness. This makes me tremble. The only way to judge a false prophet was to decide whether what they predicted took place in the time period predicted. If the timing of the prophecy was to be summarily ignored because time was irrelevant, then how could anyone claiming to speak for God be deemed a false prophet? If a prophet said something was going to happen soon and it didn’t, all hell broke loose against them. So it’s clear that the timing of a prophecy is every bit as important as the nature of what was predicted. But you wouldn’t know it by the way we interpret the Bible today. Are we not unwittingly calling these NT authors false prophets by assuming their prophesies have been delayed thousands of years? I have gotten plenty of things wrong throughout my life but one thing’s seems abundantly clear, “will not delay” and “must take place shortly” simply cannot mean anything other than what they imply. This “God can’t tell time” mantra is striking at the very nature of God’s inspired Word and is unwittingly challenging God’s faithfulness. Notice what God says next as he spoke through Ezekiel. Ezekiel 12:2-28 (NASB) Furthermore, the word of the Lord came to me, saying, 27 “Son of man, behold, the house of Israel is saying, ‘The vision that he sees is for many years from now, and he prophesies of times far off.’ 28 “Therefore say to them, ‘Thus says the Lord GOD, “None of My words will be delayed any longer. Whatever word I speak will be performed,”‘” declares the Lord GOD. Could God have been any more redundantly emphatic? It seems that God was sending a very clear message that His prophesies would come to pass in the exact time they were predicted. So how is it that the accepted eschatology of our day is in such direct contradiction to these words given to Ezekiel? Our last order of business is to deal directly with the context of 2 Peter 3:8. Two things are usually missed. One has to do with considering only half the verse and the other regards the very next verse. 2 Peter 3:8-9 (NASB) But do not let this one fact escape your notice, beloved, that with the Lord one day is like a thousand years, and a thousand years like one day. 9 The Lord is not slow about His promise, as some count slowness, but is patient toward you, not wishing for any to perish but for all to come to repentance. If we take this verse to mean that “shortly” can mean thousands of years, then we must consider the fact that in the second part of the verse would turn Daniel’s “many days yet to come” into one day. So, in other words, any reference to time (near means far and far means near) would be so ambiguous that it would have no relevance whatsoever. Is that truly what Peter is arguing? Should Daniel have expected the things that would not happen for “many days yet to come” to occur “shortly”? This is simply ludicrous and makes a complete mockery of God’s Word. If we consider the context of Second Peter, it had been approx 34 years since Jesus’s emphatic statement that He would return in a generation. Time was running out and the scoffers were mocking the fact that, since it had been so LONG (since Jesus made that statement), it was clear (to them) that Jesus wasn’t going to ever return. The scoffers were fully aware of the stated timing of the Lord’s parousia. So Peter was in effect saying, “Listen fellas, yes, this generation is coming to a close, but the fact is that Jesus is still right on schedule.” That’s why Peter followed with “The Lord is not SLOW” to fulfill His promises? If Peter was arguing the way most have interpreted 2 Peter 3:8, he would have said, “The Lord is not FAST” to fulfill all that He promised. Peter wasn’t hedging his bets. He was all in. 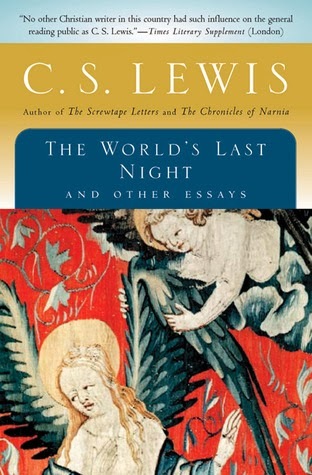 He was fully convinced that the end of all things was even nearer than they were when he wrote a year earlier. He knew that the timely vindication of the martyrs was absolutely crucial to the integrity of God’s prophetic word. I think there’s something very wrong when those who believe God are censured and considered heretical, while those in the mainstream Church are deemed “orthodox”. The first century Jews missed the timing of Jesus incarnation because they didn’t understand the nature of His first coming. Is it possible that 21st century Christians are making the same mistake with regard to Jesus’ 2nd coming because we are confused as to the nature of His coming? There are those who have so flippantly and ignorantly mocked people for believing that God can tell time and God did fulfill His promises like clockwork. My hope is that they will realize the implications of their scoffing. People holding their eschatological feet to the fire are not the problem. So bent on holding on their view, they are unwittingly scoffing at the faithfulness of God. If the first-century scoffers gained traction and provoked Peter’s rebuke because it had been 34 years and Jesus was late, how should those who believe that Jesus is 1,984 years late and counting view their own unbelief? Because that’st he crux of the matter. Faith to believe that no matter how it seems because of the confusion, that God was abundantly faithful to His beleaguered first-century followers. So how could we have possibly gotten this far afield where up is down and left is right? I realize that the implications make us uncomfortable. However, shouldn’t our end game be to exalt and honor the integrity and the inspiration of God’s Word rather than to merely attempt to preserve our eschatological presuppositions? Eight years ago, after finally acknowledging the elephant in the room, I determined that the song I began this blog with, would have been more appropriately sung by those heavily persecuted AD 60s Christians who were promised near-term vindication and heavenly glorification. Their endurance was about to be rewarded. And they could not wait to see Jesus! 1 John 3:2 (NASB) Beloved, now we are children of God, and it has not appeared as yet what we will be. We know that when He appears, we will be like Him, because we will see Him just as He is. 1 Corinthians 13:12 (NASB) For now we see in a mirror dimly, but then face to face; now I know in part, but then I will know fully just as I also have been fully known. Philippians 3:21 (NASB) who will transform the body of our humble state into conformity with the body of His glory, by the exertion of the power that He has even to subject all things to Himself. 1 Corinthians 15:51-52 (NASB) Behold, I tell you a mystery; we will not all sleep, but we will all be changed, 52 in a moment, in the twinkling of an eye, at the last trumpet; for the trumpet will sound, and the dead will be raised imperishable, and we will be changed.Romans 8:18 (YLT) For I reckon that the sufferings of the present time are not worthy to be compared with the glory about to be revealed in us; Did you know that there is historical precedent for all these things taking place in and around AD 66 leading up to the destruction of the Temple in the fall of AD 70? In closing, think about this. If God was not faithful to THEM (persecuted 1st century Christians who were promised near term vindication), why do you think He will be faithful to YOU. If we so frivolously disregard the plain meanings of Biblically inspired words simply to fit our eschatological preconceptions, how can we expect to look the liberal Bible critics in the eye? You may think this is about eschatology, but the fact is there’s a whole lot more at stake. This is a fight for the inspiration and integrity of Bible.For those who continue to insist that near can mean far and soon can mean many days in the future, I’ll leave you with this famous quote from a former president. “It depends on what the meaning of ‘is’, is.“ Hold on to your eschatology if you must, but please stop using 2 Peter 3:8 to hide the elephant. He’s making quite a mess of our interpretational reading rooms and he’s severely compromising the credibility of God’s infallible Word. p.s. If you truly want to see how the world sees us through the lens of our eschatological failings, check out the following from an atheist blog review of Lindsey’s Late Great Planet Earth. I don’t condone their conclusions, but I think they make some valid points that we all should consider. If you’d like a straightforward Biblical answer to the seeming conundrum I’ve presented here, I would highly recommend Christian Hope Through Fulfilled Eschatology. 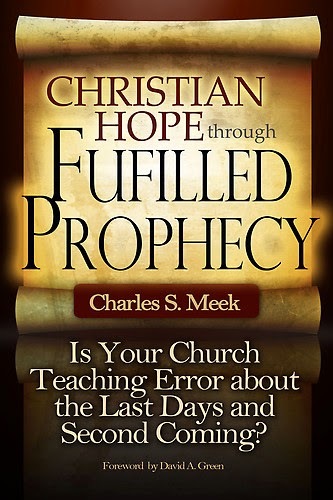 Written by friend and PCA Elder, Charles Meek, this very readable and well argued eschatological masterpiece, presents a Biblical case that keeps the “time statements” intact while proving God’s real-time faithfulness. This book clearly and completely answers both the atheist as well as the premillennialist. If you are willing to consider a viable alternative to the failed system that has dominated the Church for a century, this book will provide answers to your most perplexing eschatological questions. Charles began www.faithfacts.org, one of the first apologetics websites, to defend Christianity from skeptics and to bolster the faith of those committed to Christ. In so doing, he was confronted with the eschatological issues that have plagued the church. This book arose from a time of concerted study and introspection. Charles just mentioned that he received an email from a Dallas Theological Seminary grad letting him know that he left behind Left Behind (after reading this book). This entry was posted in 2nd Coming, Audience Relevance, Eschatology, Hermeneutics. Bookmark the permalink. Chuck, what an awesome and clear explanation of the time statements in the Bible and how important they are in understanding the Scriptures. Thank you for all the effort you put forth in researching this information and sharing it with others. Truth really does matter! Thanks so much BobSan. Not only does truth matter but time matters as well, doesn't it. Most Christians that take this "time is irrelevant" approach, do not seem to realize that there's a whole lot more at stake than eschatology. 2 Peter 3:8 may not just be the most abused verse in the Bible, but people who use it to elasticize time to fit their eschatological paradigm, are unwittingly undermining Biblical inspiration. If the Apostle Peter was aware that time was of no consequence, why would he have written "the end of all things is NEAR." (1 Peter 4:7b) That makes no sense. So, instead of making excuses for 1 Peter 4:7, I think it's time to figure out what Peter meant when he wrote that everything was about to end. To what end was Peter referring? Clearly not the end of the world but actually the same "end of the age" that Jesus spoke of. People have assumed that Christ would come at the end of the world, so since the world has not ended, they have to provide Peter with an excuse. So 2 Peter 3:8 seemed like the perfect allibi to circumvent this problem. However, in so doing, it has been wreaking havoc on the veracity of Christ and the integrity of the Bible. There's a reason Leftbehindology has spawned the steady stream of errant predictions… because it's not valid. And I pray that the vast majority of Christians will soon wake up to the problems before the atheists gain an even greater foothold in their quest to bury the Bible.